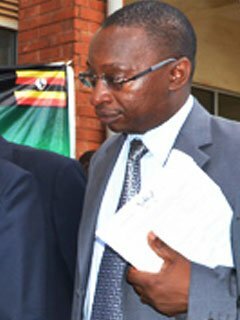 Professor John H. Muyonga, holds a Ph.D. in Food Science from the University of Pretoria, a M.Sc. from Cornell University and a B.Sc. from Makerere University. He is an expert on protein functionality in food systems, nutritional effects of food processing, post harvest technology of fish, commercialization of scientific and technological innovations and education and food based nutritional interventions. His research interests include post harvest biochemistry of meat, fish and poultry, fish waste utilization, protein functionality, enhancing nutritional properties of food through processing, University-private sector partnerships, nutritional and nutraceutical properties of traditional Ugandan foods and improving the nutritional status through information and education.